Join us for this fun and creative workshop with local artist Heidi Street-Ward to master the fascinating art of felt making. 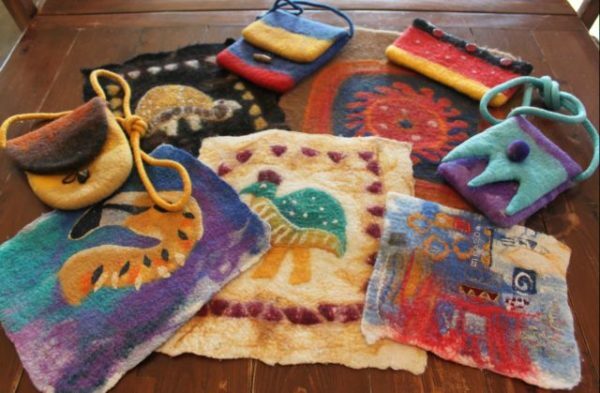 Enjoy an evening learning how to make a piece of handmade felt using easy felt making techniques. You will have the opportunity to use a range of colourful merino wool tops and other natural fibres to create patterns and textures within your decorative felt picture. You will also have the option to add extra decorative embroidery and stitching when you get home. We will serve a light homemade supper during the course of the evening. 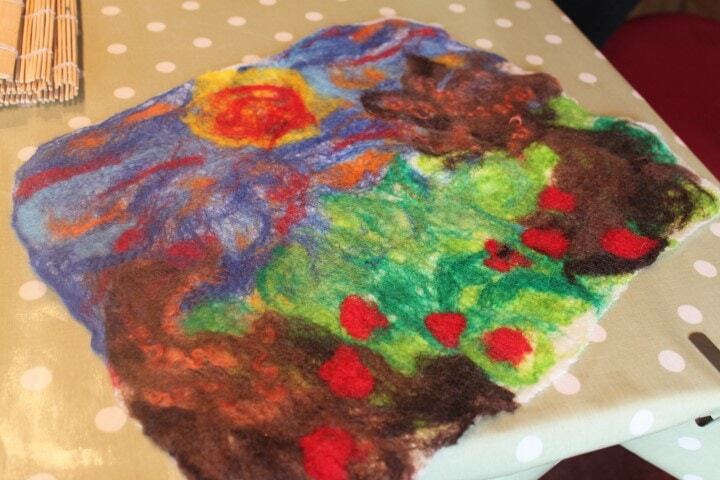 A workshop ideal for beginners and students with some felting knowledge. You will need to bring: • 1 x medium sized old towel. • Waterproof apron if you have one. • Rubber gloves (soap will be used) • 1 waterproof bag (for carrying wet felt home). • Sharp scissors if you have them. • Notebook & pen / camera. • Optional : selection of yarns, decorative cottons/ threads, ribbons (only if you have them). The number of attendees on this course will be limited to a maximum of 10. Click here to learn more about Heidi Street-Ward It is your responsibility to notify us, in advance of attending any event at Bay Tree Cottage, of any dietary requirements or food allergies. Bay Tree Cottage does not assume any responsibility for adverse reaction to any foods consumed.